The Nanda Devi Raj Jat Yatra, which takes place in Uttarakhand state of Himalayan India, once in 12 years and was scheduled for August 29 this year, has been finally cancelled. Since roads and bridges along the yatra path were damaged in the floods in June, and were unsafe to use. It is considered to be one of the longest religious processions in the world. Strangely just twenty days back it was decided that Yatra won’t be postponed. On 26th July it was said that it would be a low-profile event but will happen on schedule. But it seems that after long deliberations with the government and within the community, it was decided that cancelling the Yatra is best possible option in the current scenario. In few days, a new schedule for the Yatra shall be announced. In the meantime, on 26th August special prayers will be held at all those places from where processions start to join the main Yatra. 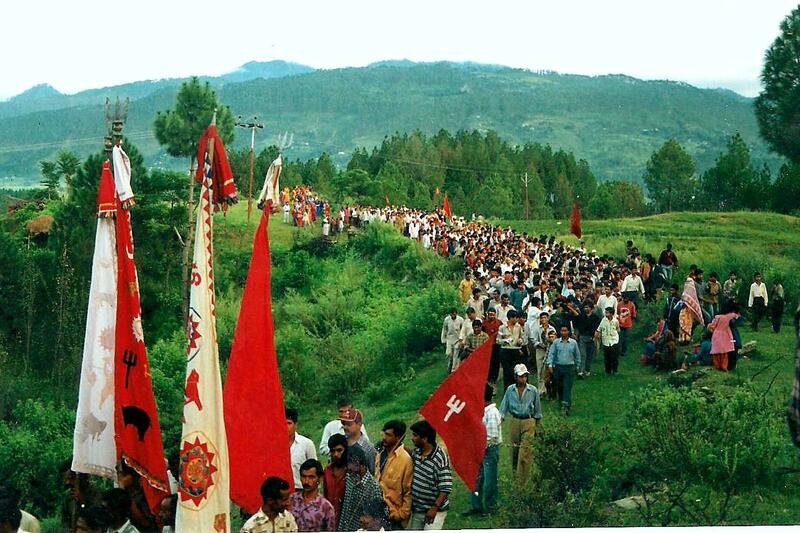 The main Yatra invariably starts from Nauti village near Karanprayag in Chamoli district. The Nanda Raj Jaat, known as the Kumbh of Uttarakhand, wass slated to be held from August 29 to September 16, 2013. The 280 km and 19-day trek reaches Homkund through Bedini Bugyal, Roopkund and the very difficult Gali pass. 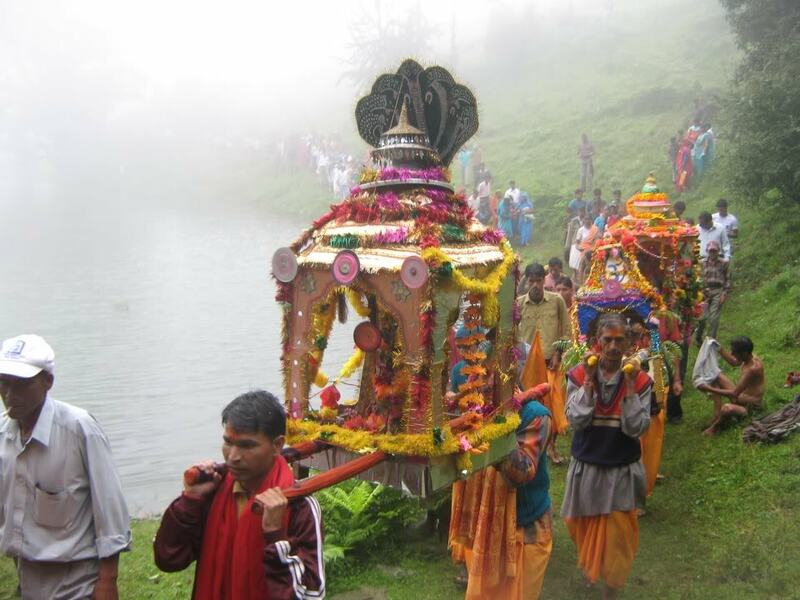 Yatra has always been a religious issue and local sentiments are attached with it. Last Yatra happened in 2000. Hence this time it was originally scheduled in 2012 but was postponed to this year due to Malmaas (one inauspicious month) in the last year. Now again it has been postponed this year. Normally thousands of pilgrims from across the world take part in the Yatra. However, the district administration had warned that they are not in position to handle large gatherings. After the natural calamity and continuous rains and landslides the road network was badly damaged. Due to bad weather administration could not do the minimum preparation needed. Nanda Devi is the supreme goddess of locals of Garhwal and Kumaon region. She visits her maternal dwelling in these Himalayan heights in hindu calendar month of Bhadrapad (August and September) and the festival is celebrated by the natives in every 12 years. Besides Nanda Devi (7816 mts) is also the second heighest peak in India, located in Chamoli District of Uttarakhand. The route of Yatra passes through beautiful and mysterious lakes of Roopkund & Homkund and slopes of Bedini Bugyal. Besides Yatra, this route is also considered to a trekker’s paradise for its mesmerizing natural beauty, but it is also tough and challenging. Trekkers around the world dream of going to this area. Vous avez dit ceci adéquatement.